PLEASE INCLUDE THE SPELLING YOU WANT IN THE NOTE TO SELLER SECTION! 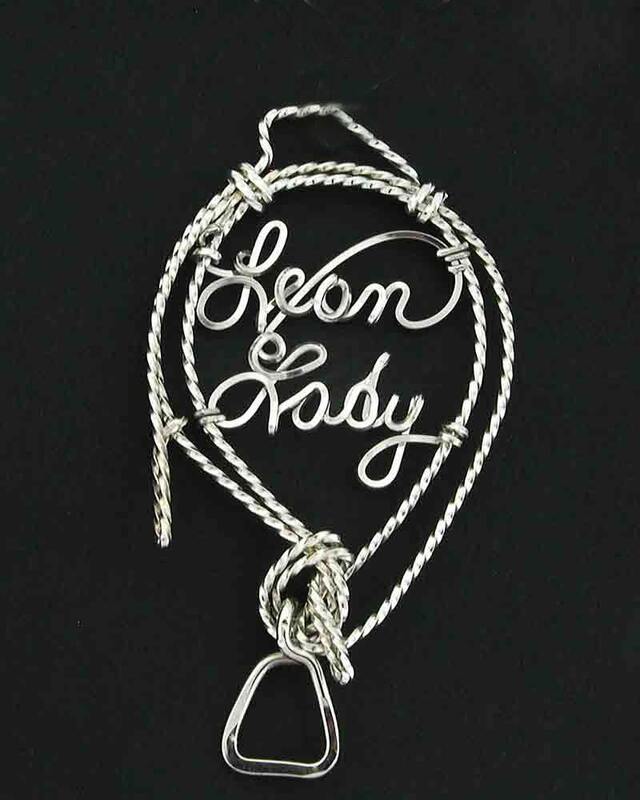 This Bull Rider Rope Pin was created by a High School Finals Bull Rider Champion! He actually brought his rigging to our booth to show how the rope was tied around the bull. The first one was his! Each Bull Rider Rope is Custom Made with the name or any 2 initials you request . The Bell is plated but it is a real bell. This beautiful and unique item is created from solid sterling silver, a combination of gold and silver. or silver and gold. YOUR CHOICE. We just added Rose gold to our line of jewelry. The size of the rope depends on the length of the name. Tom & Tommy can not fit in the same sized rope. Everybody loves these! 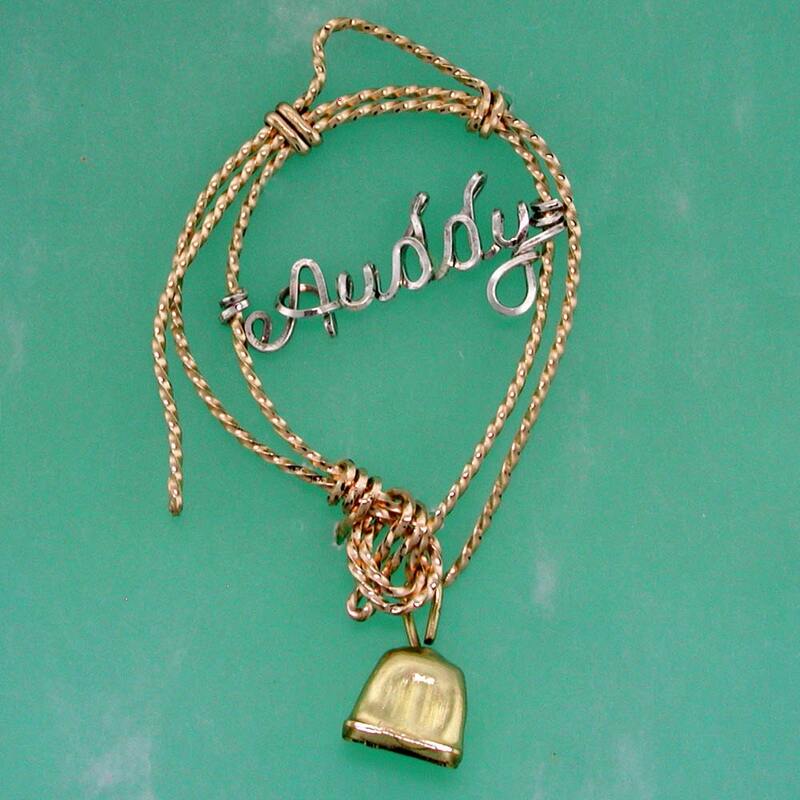 Many people can't find their names on personalized jewelry, now's your chance. Includes 16" or 18" 14k gold filled, solid sterling silver, or rose gold chain. Maximum 9 letters.